On July 11, Rahul Gandhi held a meeting with Muslim intellectuals. On July 12, the Urdu newspaper Inquilab carried a story headlined Congress is a Muslim party. 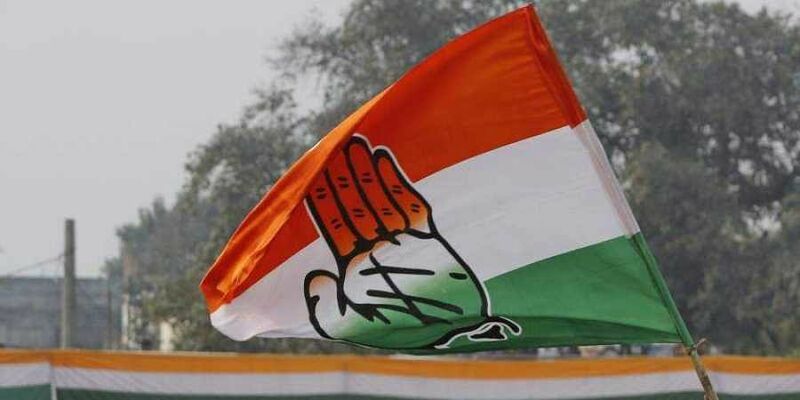 NEW DELHI: Criticising the Congress for its retraction to a statement of party president Rahul Gandhi on Muslims which snowballed into a controversy, Inquilab journalist Mumtaz Alam Rizvi on Monday said that the party should not be on the defensive. Speaking to ANI, Rizvi said: "Rahul Gandhi said that if the BJP has made us a Muslim party, then yes we are a Muslim party because the Muslims in this country are weak and the Congress always stands for the weak. There is nothing wrong with what he said, the Congress should not be defensive in this matter." On July 11, Rahul Gandhi held a meeting with Muslim intellectuals. On July 12, the Urdu newspaper Inquilab carried a story headlined 'Congress is a Muslim party'. The same day, Congress spokesperson Priyanka Chaturvedi, however, tweeted, "This is absolute lies & shameful spin by the newspaper. The BJP using it to further its own agenda, yet again, exposes their desperate tactics to mislead the nation. However, this will not deter us to fight for India's founding principles & its democratic values". Journalist Rizvi said he showed his report to Congress Minority Cell president Nadeem Javed who told that the report was fine and there was nothing wrong in it. Rizvi acknowledged that his paper (Inquilab), "used a catchy headline to promote the story, and there was nothing wrong with it, and that the rest of the story clarifies the entire statement made by the Congress chief." Meanwhile, Javed said that the Bharatiya Janata Party (BJP) was used to spreading rumours and that the Gandhi scion's statement in the report was misinterpreted. "The BJP is so used to spreading rumours that they have to create a new controversy based on rumours every day. I said that to see development in India, we have to listen to and solve the problems of all sections of society, the backward, the Dalits, Muslims, everyone. Also, Rahul Gandhi said that the weak people should be empowered," Javed told ANI. He also said that he was not happy with the way his words were projected and that the BJP wanted to see this issue play out in a Hindu vs Muslim narrative. "The BJP only wants to avoid the real issues so they want to make this a Hindu-Muslim issue. That's why they propagate these lies," Javed added. On July 11, during the meeting with the intellectuals, Rahul Gandhi was apparently advised to do a self-introspection of the Congress party. He was urged to think about how "Congress worked in the era of 1970s when it talked about inclusiveness and 'Sajha virasat'", said Iliash Malik, one of the intellectuals who attended the meeting. Nothing regarding upcoming elections or the Personal Law Board for Muslim community were discussed in the meeting, Malik added.